Orisil is an European producer of amorphous fumed silica, used in many industrial applications like adhesives and sealants, construction products, paints and coatings, composites, epoxy, PVC, greases, pharmaceutical products, cosmetics, and more. Keyser & Mackay Spain has started collaboration with Michelman. Michelman is a company from the United States that develops and manufactures advanced materials for different sectors. We are the exclusive distributor of the products intended for the printing and packaging industries: flexible packaging and paper and corrugated applications. 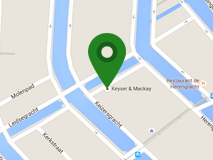 BYK-Gardner, the instruments division of BYK, will work closely with Keyser & Mackay in The Netherlands to serve our customers even better. Our well known principal BYK is continuously working on innovations, also in the field of household cleaning & care products. Keyser & Mackay France starts a new collaboration with Précimicron, a French industrial company specialized in screening and powder calibration. Keyser & Mackay France presents the new Granucol® Conduct 2.0 – Highly conductive fillers in attractive new colors. Keyser & Mackay France started commercialization in France of 3 products from the Synasia product range Syna-Epoxy. For more information please contact Guillaume Poulain. Keyser & Mackay France has started collaboration with Nymco, an Italian company specialized in defoamers. We are proud to highlight their new generation of high performance Green Defoamer Fluxair 85 S GR. Liquid multi-purpose defoamer : Fluxair 85 S GR is a new 100% active liquid defoamer, mineral-oil free, formulated with completely vegetal oils.